Pastor Mitchell is truly a man after God's heart. There is nothing that he would not do to bring the disciples of Greater Brookville Church closer to God. He is dedicated to his calling as a Pastor. I am blessed to have been placed under the leadership of such a gifted preacher and amazing teacher of the Gospel of Jesus Christ. I appreciate him more than words could ever express and because of his leadership, each day I am becoming the Disciple that God would have me to be. I thank God everyday for Pastor Mitchell and his family! The Ministry of Dr. Mitchell can only be characterized by his wonderful personality and passion for people. His keen knowledge of kingdom principles and Godly precepts are quality tools that sets you above the rest. I am glad to have someone in the ranks of the ecclesia as you, to empower men and women towards divine excellence. I speak volumes of God's favor over your life and the life of your entire family. May He release prosperity throughout your ministry as you pursue God in every assignment. May He bless your staff of ministry helps and gifts to assist in fueling the heart beat of God. Oh may he be your source of inspiration during every storm and every test. Allow him to polish you to be meat for the master's use. Guide: May God help you to Guide those under your charge to the places where he has called them to in ministry. Guard: May God continue to Guard your heart and your mind with kingdom revelation as it pertains to new directions for your family and the church. Allow him to reposition you for even greater works. Govern: May you always follow the leading of His words and his voice. bless you Dr. Mitchell. This pastor has gave me the idea to live a great life I mean he has made me change. I Just thank God for giving him the power to talk about the word of God. And some people don't even care about the word at all, but I love the lord who brought me to this church so that I will understand the word. Now I love to read the bible and I also love to pray. I've been taught that I have to trust God and If I trust God all things are possible. And things have gone pretty well. I thank God and my pastor again for teaching me and giving the mind to keep the word In me for the rest of my life. I thank God for the gift that He has given to the Disciples of Greater Brookville in the person of Pastor Mitchell! He is a man that is more than capable of teaching and preaching the Word in a way that makes me hunger to know and do more to be the woman that God wants me to be.Pastor delivers the Word in a way that is both easy to understand and that makes one want to "run on and see what the end's gonna be. "He is real.To me and for me,he is a remarkable teacher, preacher and friend. On behalf of the Disciples of Greater Brookville Church it is a pleasure to give honor to the Angel God has placed over our congregation. Pastor Mitchell is such a blessing to us. God has truly anointed this man to preach and teach the gospel with boldness and with power. He never fails to lead by example and he is never too proud to let you know that he is a human being and susceptible to the same traps we are! 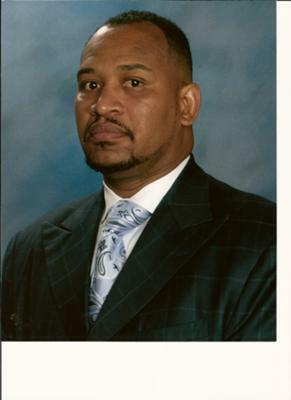 Pastor Mitchell not only serves the House of Greater Brookville, he is an active participant in the life of our City. He can be found working within our school system, on community non-profit Boards and in Ministerial Associations throughout the Region. He is truly a Servant Leader and we thank God for sending him to us and for the Now Word that he brings to our congregation!